Sectional garage doors are perfect for houses and offices that have limited space. Two Guys Garage Doorsoffers a wide assortment of overhead doors that offer a simple but effective solution to homeowners and businesses alike. These doors have various sections that can be rolled up vertically on tracks and these tracks lead up to the ceiling. The reason why many of our clients in Portland, OR area are attracted to such doors is because they do not require a lot of clearance ahead of them. 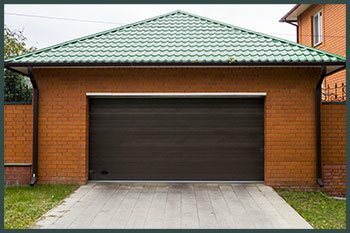 Sectional garage doors can be operated both manually and electronically. You don’t need to put in a lot of effort to lift a sectional garage door or to bring it down. Another advantage is the fact that you can park another vehicle in front of your garage door and still open the garage door without accidently damaging the vehicle. As these garage doors do not require a wide clearance in front of them while opening or closing, they provide a lot of convenience to people with multiple vehicles and space constraints. Overhead doors can also be customized based on the needs of the customers. Added functionality such as installing motion detectors, installing weatherstripping, customized designs, etc. can be used to add visual appeal as well as convenience. 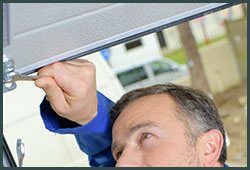 Two Guys Garage Doors has all the resources and talent at its disposal to carry out any kind of garage door operation and that is why it is one of the biggest garage door company in Portland, OR. You can reach out to us on 503-683-7485 and we will install, repair or replace your sectional garage door in no time.